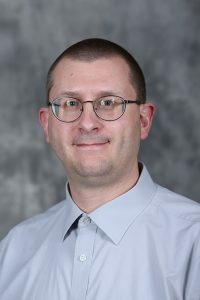 David Veneziano is the Safety Circuit Rider for the Iowa Local Technical Assistance Program (LTAP) at Iowa State University’s Institute for Transportation. He develops and leads transportation-related training and workshops and conducts outreach for city, county, and other agencies throughout the state. His primary interest is safety on the roadways. How did you become interested in engineering, particularly in transportation? I don’t think it was any one particular thing, it just developed over time. I grew up outside of Chicago and in a place like that, you’re always exposed to transportation, being surrounded by roads, traffic, etc. Over time, the “hows” and “whys” of transportation engineering just became something I was interested in. What is your favorite part of your ISU job? No two days are the same. One day I might be out in the field conducting a road safety assessment, the next day I might be conducting work zone flagger training, and the day after that is working on research. This job keeps things interesting and lets me meet new people. Plus, I get to work with great people at ISU. How does your outreach work around Iowa enhance transportation in the state? It helps to bring the safety message down to the local level. What happens through LTAP’s workshops, on-site visits, etc., is that we are able to provide safety training, information, and consultations directly to our local agencies at or near their offices. Doing that helps get the message of safety out to our local counties and cities, whose roadways account for many of the crashes in the state. What is your biggest challenge as you try to improve safety on Iowa’s streets and roads? Helping engineers and staff at the local level to recognize the importance of safety versus other competing demands. Often the people we work with at the local level are balancing multiple demands on their budgets, time, staffing, etc. Helping them to recognize the importance of roadway safety in their community when they’re faced with so many competing demands and getting their buy-in to address it can be a challenge at times. My wife and I bought a 101-year-old house, so I’ve come to enjoy doing restoration and landscaping work on it.